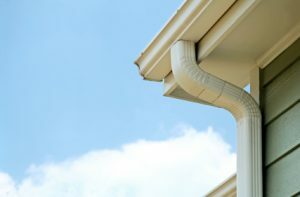 Having reliable gutters is important, as they channel water away from your home, protecting your roofline, foundation, and landscaping from water damage. It’s especially important to have high-functioning gutters on your home after you’ve upgraded your house siding. Otherwise, you risk dealing with moisture infiltration and water damage to your new cladding, which can cause many time-consuming and costly headaches down the road. The experts at Quint-Pro Siding & Windows help homeowners in Plano, Texas, and the Greater Dallas area protect their properties by offering gutter installation services as part of siding projects. At Quint-Pro Siding & Windows, we offer seamless aluminum gutters that are engineered to maintain highly efficient water flow over time. These gutters are affordable yet highly durable, lasting well into the future. And, because they are seamless, they are far less likely to develop leaks and clogs that can result in water damage than standard sectional gutters. Plus, they are available in several attractive colors and will be custom fitted to your roofline, helping to boost your home’s curb appeal. In addition to offering seamless gutters, we sell gutter covers that prevent clogs by keeping leaves, twigs, pine needles, seed pods, and other debris from entering the gutter system. The nose-forward design of our gutter covers directs plant matter and other debris safely to the ground, saving you the trouble of cleaning your gutters by hand. What’s more, when we install your new gutters as part of a siding project, you’ll receive the added benefit of having the entire project covered by a lifetime warranty. Quint-Pro Siding & Windows is committed to ensuring each customer’s remodeling experience exceeds their expectations. We’ll take the time to educate you about your siding and gutter options, so you make the best choice for your home. And, when it comes to installation, we have a team of highly skilled and experienced specialists who ensure each project is completed according to best practices. If you would like to learn more about the siding and gutter installation services we offer to homeowners throughout Plano, TX, and the Greater Dallas area, contact Quint-Pro Siding & Windows today. And when you do, don’t forget to ask about the outstanding financing opportunities we have available for qualified homeowners.